China has been really working into developing some really amazing structures since the past decade. 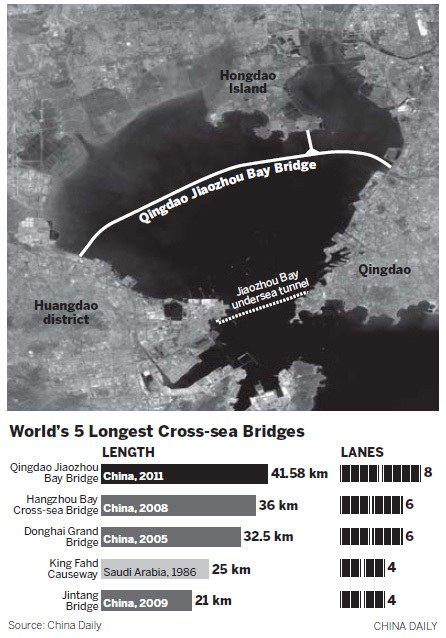 Their latest offering is the worlds longest sea bridge called the 'Jiaozhou Bay bridge'. The bridge is a staggering 42.4km (26.3 miles) in length and 110ft in width. According to the Guinness Book of World Records, it beats Louisiana’s Lake Pontchartrain Causeway in the US, the previous world-record holder by a little more than 2 miles. 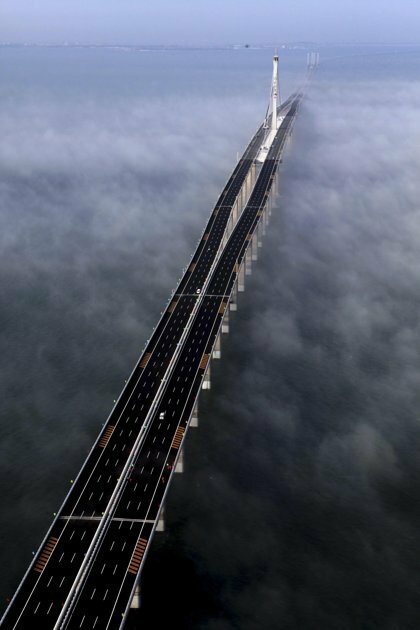 The bridge was built at a cost of 14.8 billion yuan ($2.3 billion). It stands on 5,200 pillars and was entirely designed by Chinese engineers at the Shandong Gausu Group. It was built in a time span of 4 years which is pretty much worth appreciating for such a mega structure. According to Guinness officials, the bridge is earthquake and typhoon-proof, and designed to withstand the impact of a 300,000-ton vessel in case of an accident, considering the fact that it links the port city of Qingdao to the island of Huangdao. With all that said there are also a little fight from the Americans. Despite the fact Jiaozhou Bay bridge is a little over 2 miles longer, The total 'over-water' length for Jiaozhou Bridge in China is about 16 miles, the Lake Pontchartrain Causeway however has nearly 24 miles over water. 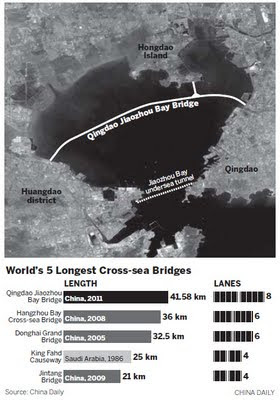 No matter what, Jiaozhou Bay Bridge now holds the Guinness World Record. Check out this video to get a glimpse!